I found a pattern for these darling little black crows on Pinterest and adapted them as a project for my speech therapy students. Crows and sunflowers just seem to naturally go together and I am all for getting as much use of my bulletin board as I can without completely redoing it. This project met my requirements for a speech therapy project. The directions were fairly easy and the project could be completed within a 20 minute time frame. I could expand the project to include multiple speech goals. Most of the materials were available from our school materials closet and were easy to obtain. Preparation was minimal. I used the die cut to cut out black circles and yellow triangles from construction paper. I have younger students who have a lot of trouble cutting and this consumes more time than I have. You could have students trace circles around a cover and cut them out. I had left over googly eyes from the dollar store and already had paper fasteners in the store room. A hole punch and glue sticks were other things I already had. Making the circles and triangles were the only thing that took preparation time. I expanded this project to include most of my students. Incorporating the free app Storykit opens up a lot of possibilities. 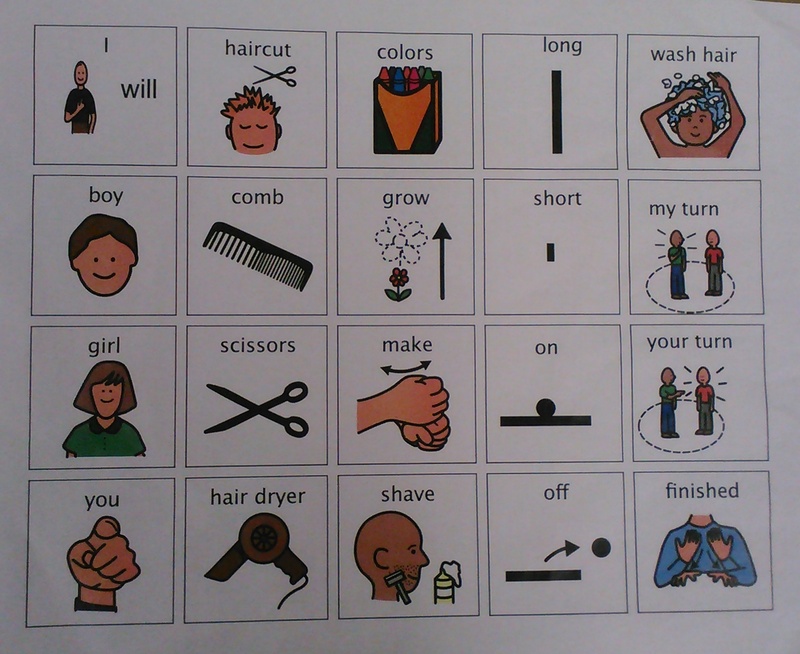 My language groups worked on sequencing the directions. They took the pictures to make a logical sequence and wrote some of the instructions. This also took some communication and collaboration as students agreed on what pictures to take, how to place the materials and what the direction should be 1st and 2nd etc. 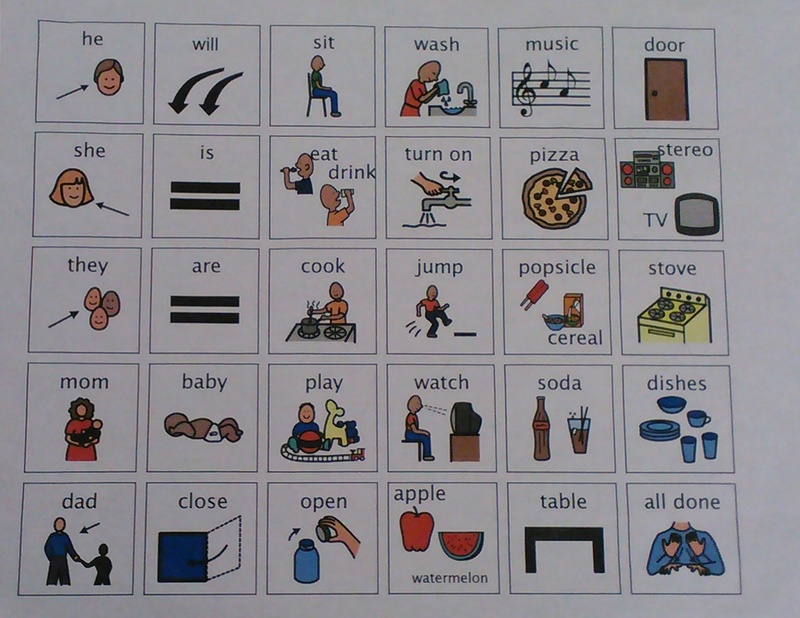 My groups working on sounds in spontaneous speech created the verbal directions to go with the pictures. They listened to their recordings and decided if they needed to record again to improve their production. The school confidentiality regulations didn’t allow me to keep their recordings for publishing so you ended up with my lovely voice instead. My students listening enjoyed figuring out who was speaking when they were listening to the directions. My younger students who are working on following directions and positional vocabulary followed the directions to create their crow. Concept words included whole/half, center, top, and through. It was interesting to see which students followed the directions for the fasteners or tried to use the glue stick instead. 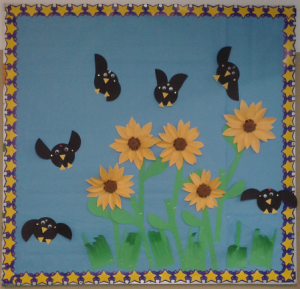 My students really loved the idea of the movable wings and posed them for the bulletin board. I had some students who could not part with their bird, so they didn’t end up on the board. Hopefully they took them home and explained how they were made to someone in their family. The directions were published on Storykit. Click on the bird button below and you will see them. When you use this app the directions are made in a storybook format. When it is published it comes into your email like a story board. The app can be found at storkit@childrenlibrary.org. I did not find it through the app store.